Friday Feature: Spotlight on Michelle Davis Petelinz — Your Creative Connection, Inc.
June 22, 2018 Your Creative Connection, Inc.
My Studio Session will focus on a variety of ways to create surface texture and pattern with paint and ink. In my own mixed media work, many of my texture and pattern discoveries come about from my asking questions: "What if I combined...? ", or "How can I create...?" Intricate, multi-layered, and multi-hued patterns resonate with me, and I often include them in my paper, paint, and clay work. I am excited to share what I've discovered with our Creative Explorers, and I can't wait to see what they will create during our time together. Penny, Jeanne and I have been working on our content for Studio Sessions, and below is a peek at what I've created so far in preparation for mine, including embellished monoprints, tape transfers, hot glue and foam stamped prints, 3-D elements, and painted papers. Creating texture and pattern with custom tools: I've found that to make my work truly my own, I had to create my own, custom-designed stamps and texture tools. I will show you how to design foam stamps, hot glue stamps, texture plates, paper combs and masks, 3-D elements, and whatever else we can dream up to put your own, unique stamp on your work (pun intended); we'll let our imaginations soar! 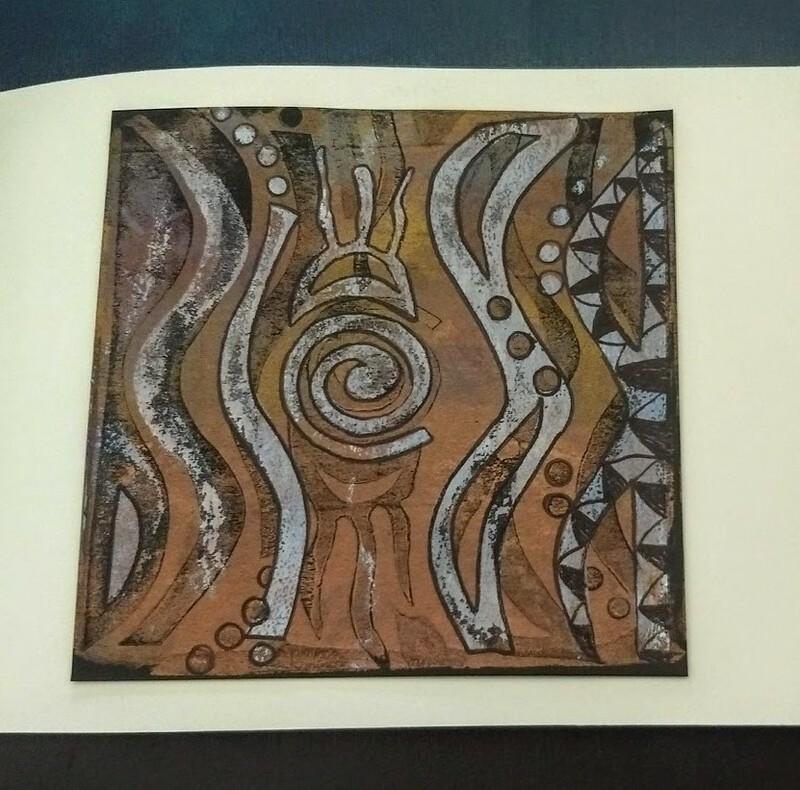 Getting the most from your Gelli prints: using your new custom tools and a variety of techniques, we'll create fantastic monoprints on our luscious Stonehenge paper. We'll be layering, transferring, embellishing, and adding natural elements to our prints for use as stand alone works, or as components of larger pieces. 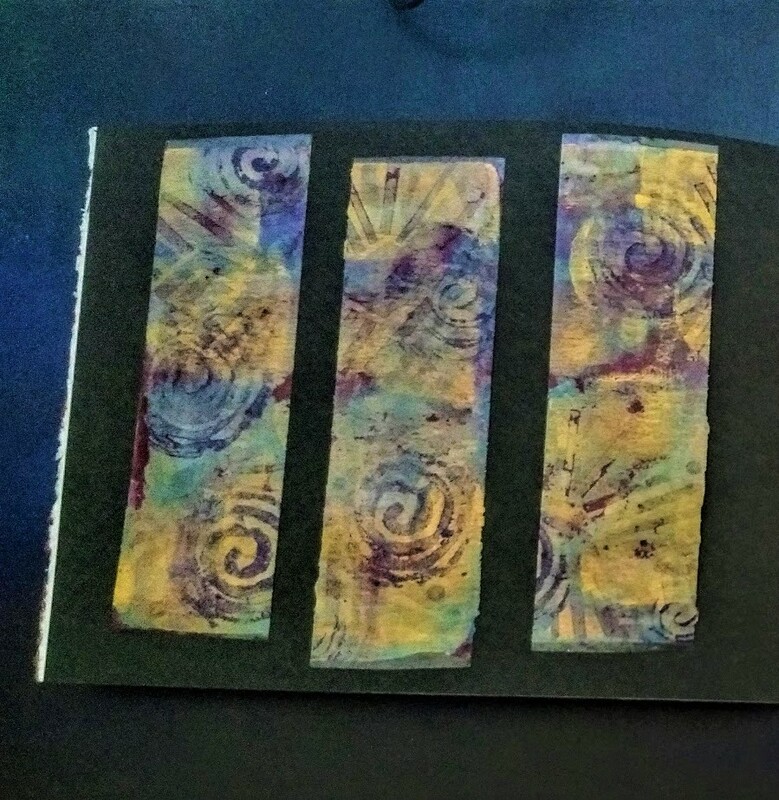 If you've never used a Gelli plate, you're in for a treat (it's truly engrossing), and if you've worked with one before, this Studio Session will offer you new ways to use an old favorite. Exploring composition: once we've designed, created, and experimented with our new tools, it'll be time to put them to use in your compositions. Tips and tricks for effective compositions abound, whether you're looking to enhance your paintings, to create 2-D or 3-D mixed media work, or to complete the pieces you'll display in the Your Creative Connection show. Oh yes, there's going to be a show...and next Friday, Penny will complete our June "Friday Features" series with a look at her Studio Session content and more details about the show. Stay tuned. If you haven't done so yet, Register now, to be sure you'll be able to join in the fun.